May 3, 2018 | -by: Kevin George. Email is a boon to businesses! Using email as a marketing tool is a great way of reaching out to your prospects and customers and keeping them informed about your brand. With the advent of new trends in email marketing such as gamification, hyper-personalization, typography, machine learning, etc. 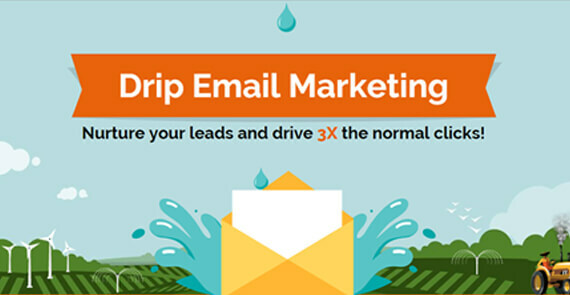 marketers come up with new strategies for their email campaigns. If you own a business, then you should consider running email marketing campaigns, and incorporate the recent trends. But before that, here are the most crucial steps that need to be followed to make the most of your email marketing strategy. Check out the 10 must-follow steps and dive into its details before you set up your next email campaign. 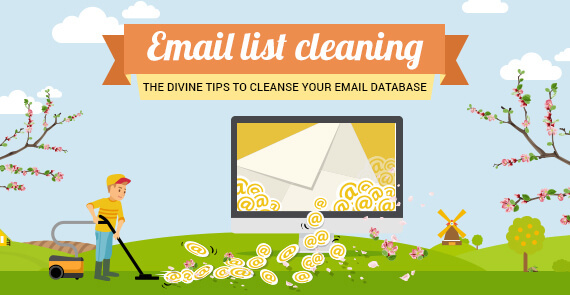 Organic list building is an important part of running an effective email marketing campaign. Borrowed, purchased or scrapped lists do not work as they may be fake and have chances of ending up in the spam folder or getting ignored or deleted. Organic lists give better open rates and click-through rates. The subscribers in the organic list are more likely to open and view your emails and give you leads that actually reach the target. 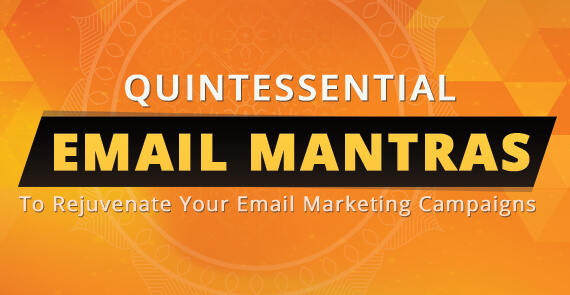 Before sending your emails, you need to segment your email list. Studying the subscribers’ demographics, psychographics, location, interests etc. helps you in systematically grouping them into relevant segments. When the target audience is defined properly, you will be able to create and send content that is relevant and induce better engagement. One of the most important elements of a successful email campaign is the subject line of the email. Research shows that about 33% of email users open the email based on just the subject line. If the subject line of your email is weak, then your email could be filtered as junk mail or never be opened at all by the users. Use catchy phrases and emojis in the subject lines but maintain the character limit to avoid the spam trap. The layout, colors, typography, template pattern, background images and other design elements of an email are what grabs the attention of a subscriber. Your email design and layout need to be engaging and effective. Include prominent and strong calls-to-action using both text and simple graphics to induce engagement. Highlight the most important part of the copy using design elements to drive the focus of the subscribers. Using personalization in emails make your emails targeted, personal and more engaging than ever. Creating relevant and to-the-point content is a must. The more you know your subscribers’ likes and dislikes, their interests and past behavior, the easier it will be for you to send tailored and highly targeted content to them. Personalized copy reflects your brand image and loyalty and results in a deeper, more meaningful relationship with the subscribers and hence can lead to big wins in email marketing. Landing pages are an effective part of your email marketing campaign. It is the gateway where your email conversions happen. You need to pair up your emails with well-designed, synergic landing pages that persuade the users to sign-up a form, download content, register for an event or buy a product/service. Well built landing pages help in boosting conversions and sales. Track and test different combinations of design and copy of your email and determine what works best. The elements that you need to test and refine are the subject lines, font sizes, colors, formatting, style, content and the call-to-action used in the email. Try multiple combinations and test thoroughly across devices and email clients before hitting the send button. 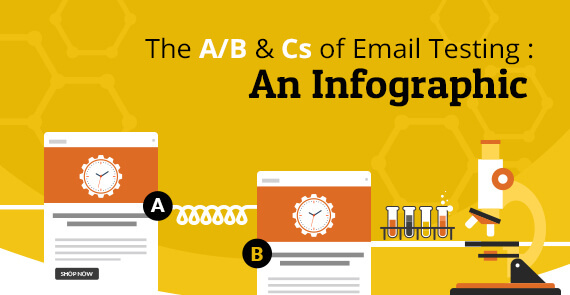 [Infographic] Email Campaign Testing- Choosing between the A/B and Cs of Email Marketing Elements! For effective communication of your brand’s offerings and promotions, you need to set up an automated campaign that sends a series of emails and nurtures your subscribers to know your brand better and become customers. The automated emails can be in the form of onboarding emails, lead nurturing emails, promotional emails, and transactional or behavioral emails. You need to give your subscribers enough space to engage with your brand. Give them options to set preferences and engage with your brand on other mediums such as blog, socials, etc. Also, make the unsubscribe button prominent, to let them opt out of your emails whenever they want. Providing an easy option to unsubscribe from your communication is mandatory, governing the CAN-SPAM act and GDPR. Are Your Email Marketing Practices GDPR-compliant? Before sending the email, it is necessary to set up a proper tracking to evaluate the effectiveness of your campaign. The metrics you need to monitor include email deliverability, open rate, click-through rate, conversion rate, unsubscribe rate, etc. Keep tracking your email performance and make necessary tweaks in your campaign according to the metrics. Email marketing metrics – What to track beyond CTR and Opens? Follow these simple steps to create an effective email marketing campaign for your business. Want to know more about email campaign management? Check out our ebook: Step-by-step Guide to Successful Email Campaign Management or get in touch with us at hello@emailmonks.com.